​ Internet or Web Technical Dept. Getting to a person at SCE who can help you isn't easy, especially if your questions or issues concern solar or electric vehicles. It's a big help to call the right department to begin with. The first six phone numbers above all go to call centers. A call center has multiple departments within it, but not every department listed above is represented in every call center. For example, Net Metering is only in two call centers. This means each time you call, you can't tell which call center you'll get, so it's very difficult to get back to the person you spoke with previously. 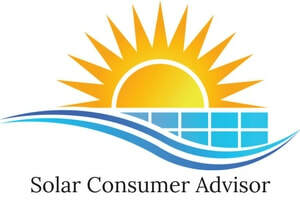 Most of the call-center personnel aren't very knowledgeable about anything to do with solar. For anything beyond the simplest questions or problems, you'll probably have to ask for a supervisor. Get the supervisor's name, employee ID or extension, and which call center they work in (the name of the city it's in). This is the only way you have any hope of getting back to that supervisor later. It doesn't hurt to ask for their direct phone number, but few will have it and give it out. Even the managers of these call-center departments aren't particularly knowledgeable about solar, so for anything difficult, they will have to call the actual, internal SCE department for answers. For example, there's a net metering department within SCE, apart from the net metering department in a call center, but that internal department won't talk to customers. This means you ask the call-center departmental manager and he/she asks the internal department and relays their answer to you, if you're lucky. A very cumbersome way of communicating, which often doesn't work. For most solar questions, the best place to start is the Net Metering Department. The solar department is mostly about SCE's own solar farms. To try to get to someone in SCE other than call-center personnel, your best shot is to call the corporate office and ask the operator for someone who might be able to help you. Specify that you don't want a call center. The last resort is the Executive Resolution Department. They're not really that helpful, in my limited experience with them, but they certainly have the power to help. They will reach out to other internal departments to get answers to your questions and call you back.